The UK’s largest electric commercial vehicle pilot has come to a successful conclusion after British Gas ordered 100 new Nissan e-NV200 vans. 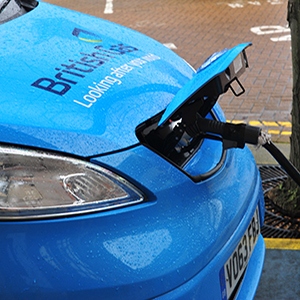 Initially bagging 50 vehicles, with a further 50 to be delivered by December, British Gas have made the move as part of their commitment to have 10% of their 13,000-strong fleet electric by 2017. All vehicles are to be funded and fleet managed by Hitachi Capital Commercial Vehicle Solutions. An initial six-month pilot scheme saw 28 models hit the road last November, with Gateshead College training drivers in how to operate the vehicles. They covered more than 60,000miles between them. Colin Marriott, General Manager of Fleet at British Gas, added: “We have been extremely impressed with the performance of the Nissan e-NV200 during our winter trial. “The feedback from our engineers speaks for itself, with the majority saying they would be happy to keep the van permanently. “Taking on 100 of these vehicles on a permanent basis demonstrates our continued commitment to leading the adoption of this technology amongst large vehicle fleets in the UK. Jim Wright, Managing Director of Nissan GB, added: “The success of this closely-watched trial with one of Britain’s biggest organisations puts Nissan in a great position in time for the official launch of the e-NV200 this June.